For the past several years, I’ve used one of Casio’s G-Shock analog-digital watches that my grandfather got me. A combination of sentimentality and laziness to try anything new has had me keep wearing it, even as the smartwatch market continues to grow. With that said, I’ve always been intrigued, if not sold, on the idea of these high-tech wearables. So when the opportunity came up to play around with my first one, I quickly took it. In this case, it’s the Fossil Q Gen 4 Explorist HR, the Richardson, Texas-based manufacturer’s latest 45mm heart rate Wear OS-powered smartwatch. The watch is compatible with devices running at least Android OS 4.4 or iOS 9.3, making sure that iPhone users like me don’t get left out as well. Right from the get-go, it’s worth noting that you can’t actually adjust the length of the Fossil Q’s metallic strap with your fingers. Instead, you’ll need to use a mini screwdriver or similar tool to manually remove watch links and fit the strap accordingly. It’s somewhat inconvenient during the setup process, but once adjusted, usage goes quite smoothly. This is because the Explorist HR’s 100g weight allows it to feel lighter and more comfortable than some high-end standard metallic watches while also maintaining the same sleek chrome aesthetic. In terms of features, the Explorist HR has many that you would expect from a smartwatch, as well as a few other nice touches. Beyond your basic Weather, Alarm, Contacts, Timer and Stopwatch apps, the Explorist HR also sports robust Google Fit functionality. With the companion Android or iOS Wear OS app, you’ll be able to monitor how much you move in minute, as well as your steps and calorie burning count. 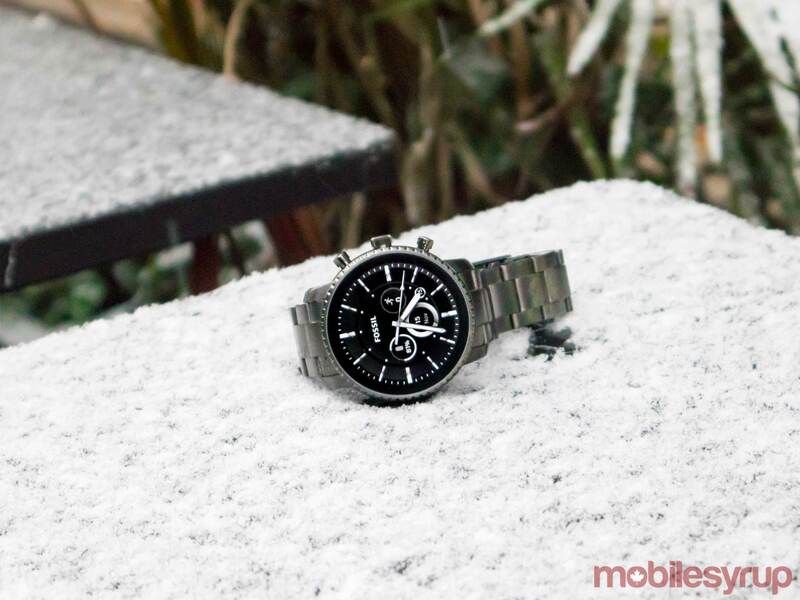 As its name suggests, the watch can also monitor your heart rate during physical activity. The Fit Workout app, meanwhile, tracks your activity throughout a wide range of sports and other exercises, including strength training, basketball, backcountry skiing, biathlons, boxing, and elliptical. 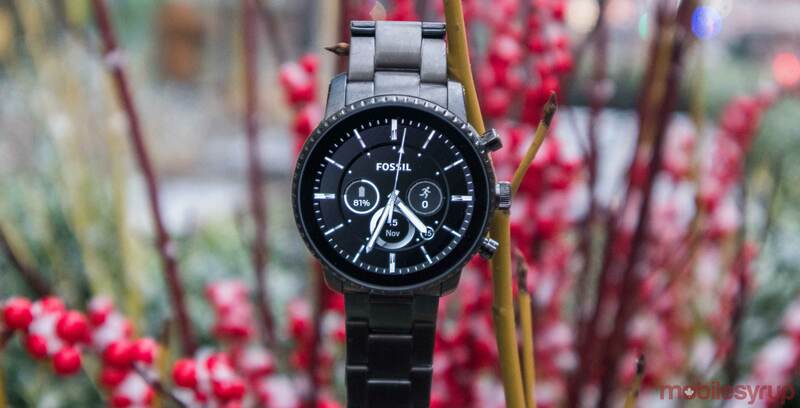 Throughout all this, you’ll be able to set resting intervals that the Fossil will notify you of accordingly. Additionally, the app offers pushup, situp and squat challenges at beginner, intermediate and advanced levels for further exercise encouragement. As a nice touch, the Fossil will even show a brief video that demonstrates proper form for these exercises. For someone like me who’s trying to be a lot healthier at the moment, this is a particularly welcome set of features. The Explorist HR gains even more functionality through its support for Google Assistant. Simply press and hold the middle button to pull open Assistant and ask your questions or give your commands. 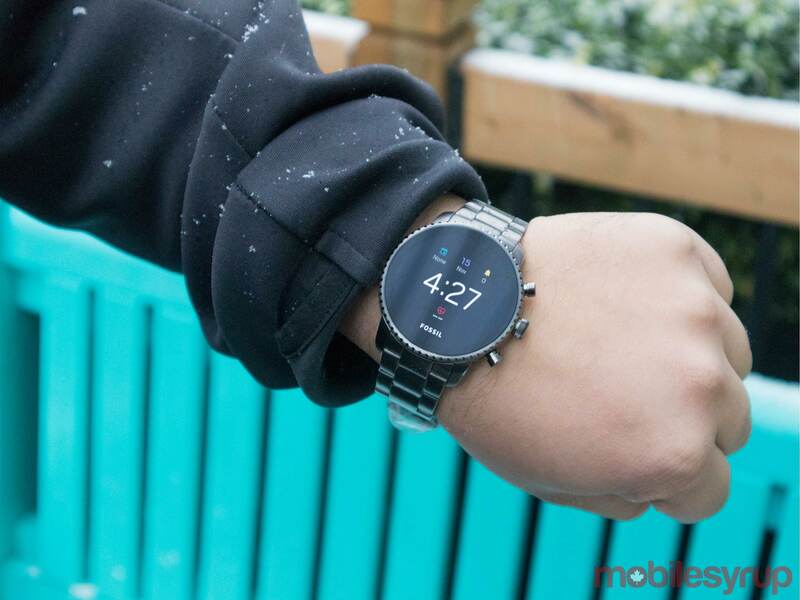 Alternatively, you can simply swipe left to right on your watch face feed for proactive Google Assistant functionality. This will bring up smart suggestions throughout the day, including information pertaining to commute time, weather and travel plans. While I’ve never been someone who really cares for voice-controlled virtual assistants, I found myself taking advantage of the Google Assistant integration more often than I expected. In particular, having the Assistant-powered watch provide more relevant suggestions over time as it “got to know me” was a useful feature, especially with a watch that I can glance at for a few moments at a time. 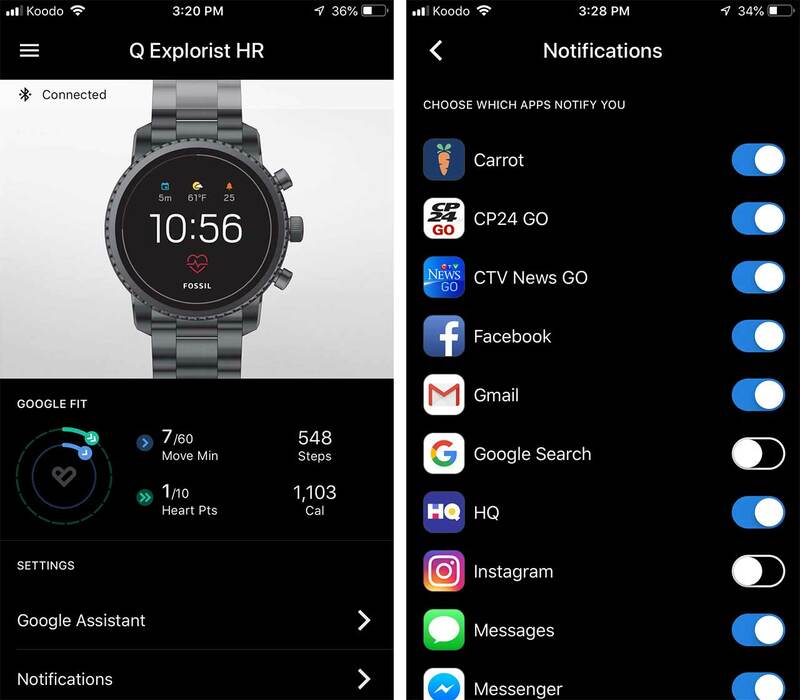 As with many smartwatches, the Explorist features notification support for a plethora of messaging and social media services, including phone calls, text messages, Facebook, Instagram and Twitter. This is always useful if you don’t have your phone on you or are busy and just want to take a quick glance at what’s pinging your phone. Ultimately, if you’re new to smartwatches like me, or need a new one, the Fossil Q Explorist HR is a solid entry point. 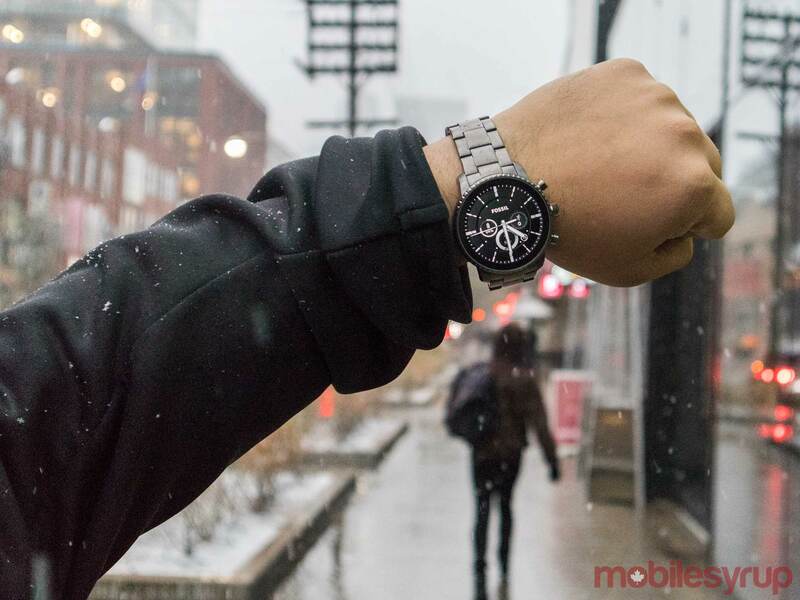 At $365 CAD, the Explorist HR is an affordably sleek, stylish and feature-filled offering.